With Android 5.0, aka Lollipop, now official from Google, we need to go over the features that make this update to the mobile platform we all love so special. Whether it be the completely reimagined user interface in Material Design, to the enhanced notifications users will view from now on, there have been major changes done to Android, so let’s get started. 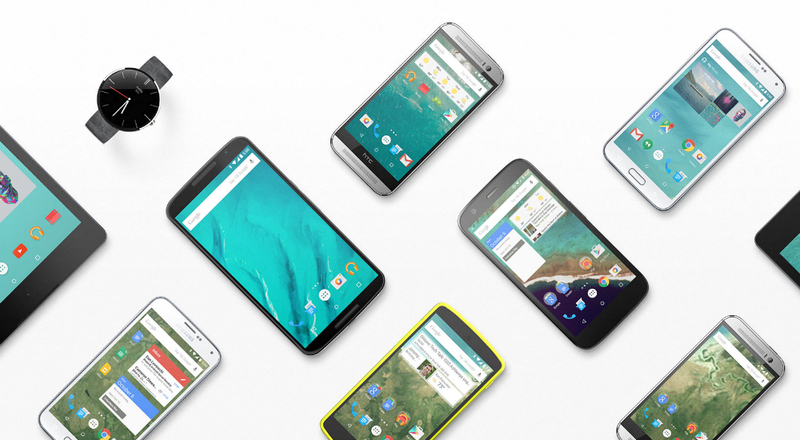 Below, we go over exactly what makes Android 5.0 so new. Material Design is a “bold, colorful, and responsive” update for Android’s interface, previously made available via a developer preview back at Google I/O. As we have seen, Material Design features very bright colors, natural motions when buttons are pressed, and new typography. In terms of the biggest change to Android in Lollipop, it’s Material Design. With Lollipop, users can now view and reply to certain notifications via the lock screen, while also keep select applications’ notifications safe from a stranger’s wandering eyes. A new Priority Mode which is accessible through the volume button will enable users to choose favorite people and apps to receive notifications from at any given time, while silencing all others to not be bothered. You can also schedule a recurring downtime like 10pm to 8am where only Priority notifications can get through. With Lollipop, incoming phone calls from friends won’t interrupt whatever you are watching, but if you choose to answer, you may do so. No more playing mobile games and getting disturbed by an incoming phone call. A new “Battery Saver” feature will extend your device’s life by up to 90 minutes, while a new “estimated time left to fully charge” will display the time left to completely charge your Android device on the lock screen. Guest accounts and multiple account support is now available for Android phones, which was previously available for just tablets. Now, users who forget their phones can log into any other Lollipop device to check emails, messages, and more. For families, user accounts allow multiple users to share a phone, but not all of its stuff. Finally, Screen Pinning allows you to pin your screen so another user can access just that content without messing with your other stuff. There are new Quick Settings for users of Lollipop, including one for flashlight, hotspot, screen rotation (finally!) and cast screen controls. There are improved toggles for WiFi, Bluetooth, and Location. Users can also manually adjust the brightness of your screen, and Nexus 6 users can take advantage of the ambient light sensor to automatically adjust the brightness. Lollipop features improved network handoffs resulting in limited interruption in connectivity, as well as improved network selection logic so that your device connects only if there is a verified internet connection on WiFi. For an easier time with Bluetooth, more power-efficient scanning for nearby Bluetooth low energy devices like wearables or beacons has been included. The Android Runtime, known as ART for short, is a completely rebuilt runtime for the OS, bringing 4x performance improvements and a smoother UI for complex, visually rich applications. ART features support for 64-bit devices and will ship with 64-bit native applications such as Google Play Music, Chrome, Google Maps, and many more. Lollipop brings complete support for Android TV, Google’s platform built for your living room. Users receive personalized recommendations based on previous watching habits, downloads, and searches. Android TV also features support for using a full-size gaming controller with the system to experience Android gaming at its finest on the big screen in your house. 15 languages have been added to the list of supported tongues, including Basque, Bengali, Burmese, Chinese (Hong Kong), Galician, Icelandic, Kannada, Kyrgyz, Macedonian, Malayalam, Marathi, Nepali, Sinhala, Tamil, and Telugu. A feature many might have been clamoring for is also available, labeled as Tap & Go. If you purchase a new Android device, all you need to do is tap your old and new phones together, which will instantly set up your new device. This is done through NFC. Included in the set up is your Google account, Android apps from Google Play, and certain system settings. 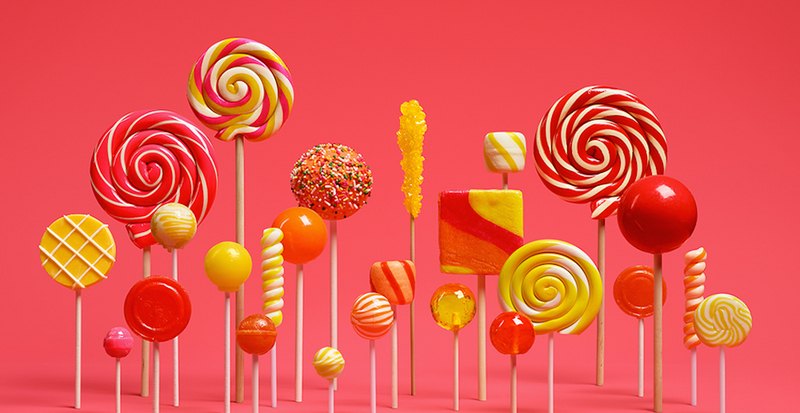 Here is a generalized list of even more features Lollipop brings. Ok Google: Even if your screen is off, you can say “Ok Google” to get quick answers, send a text, get directions and more. Tap & pay: Easily manage multiple payment apps by quickly switching between them. Print preview and page range support. Revamped display for battery, Bluetooth, data usage, and Wi-Fi settings and new search functionality. New device level feedback for Nexus devices in Settings > about phone > send feedback. Share option menu adjusts based on your usage. Improved hardware keyboard accessory support including support for multilingual, emoji input, search key, and improved app and system key chords. We can’t wait to get our hands on the fully baked version of Android L. Feel free to share your thoughts on your favorite feature, as well as what you had hoped to see from Lollipop.